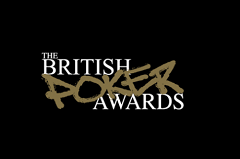 Good luck to Redtooth Poker at the British Poker Awards which will take place at the Hippodrome in London on Monday 23rd February. We have been nominated for the ‘Best Poker League’ category which is the award we won last year, largely down to you guys, our valued members. We are hoping you have done us proud again as we hope to win this award for the 2nd year running.